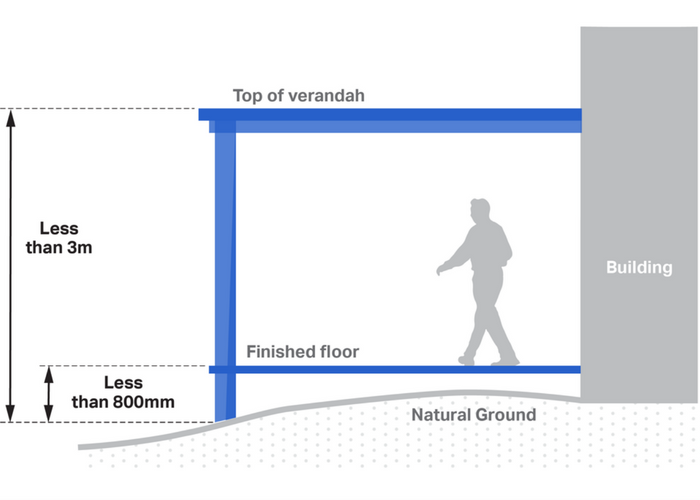 Measure the distance between the highest point of the verandah structure and natural ground. See whether the height is under 3m. Next, measure the distance from the finished floor of the verandah to natural ground. See whether the distance is less than 800mm. Is the height less than 3m and the distance from floor to natural ground under 800mm? If yes, check if a Development Plan Overlay affects your works.